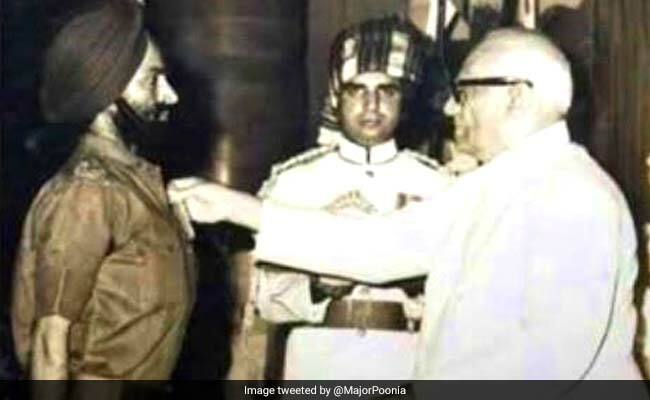 Brigadier Kuldip Singh Chandpuri was decorated with the Maha Vir Chakra (MVC) for the heroic stand-off against the tanks and forcing the enemy to retreat. Decorated war veteran Brigadier Kuldip Singh Chandpuri died in a private hospital in Mohali near Chandigarh on Saturday, family sources said. He was 78. Brigadier Kuldip Singh Chandpuri, who was an Army Major during the 1971 India-Pakistan war, had held his post through the night in the famous battle of Longewala in Rajasthan with just 120 men against a full-fledged attack by advancing Pakistani Patton tanks. He was decorated with the Maha Vir Chakra (MVC) for the heroic stand-off against the tanks and forcing the enemy to retreat. The feat of Brig Chandpuri and his men was later featured in Bollywood blockbuster movie "Border" which was released in 1997.